The new fund will support international programs, students studying abroad and faculty conducting international research, among other activities. Elwin Svenson laid the foundation for the establishment of International Studies and Overseas Programs (ISOP) in 1984, the immediate predecessor of today's UCLA International Institute. UCLA International Institute, March 9, 2018 — The UCLA International Institute is pleased to announce the creation of The Elwin ‘Sven’ Svenson Memorial Fund for International Studies and Engagement. The fund honors the life and work of the UCLA vice chancellor (1926–2017), whose longtime engagement in international studies and collaborative research at UCLA dates back to the late 1950s. Proceeds of the fund, which was initiated by Svenson’s children, will be used to support UCLA’s international programs, students studying abroad, faculty engaging in international research, partnerships with foreign institutions and other activities that enhance UCLA’s global reputation. “We are delighted to be the institutional home of this special fund,” said Cindy Fan, vice provost for international studies and global engagement. “Sven’s many and varied contributions to international education, exchange and research helped UCLA forge significant early relationships with academic institutions around the world — often at times when political change first made such relationships a possibility. 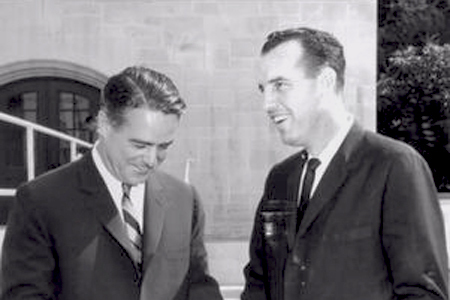 In the 1960s and 1970s, Svenson advised the UCLA Chancellor on university policy regarding international and comparative studies and advised and assisted faculty in developing programs and projects. In the 1980s, he played a key role in developing a more integrated office of international studies that would oversee education abroad programs, international grant programs, area studies degree programs and research centers, as well as exchange agreements with international academic institutions. 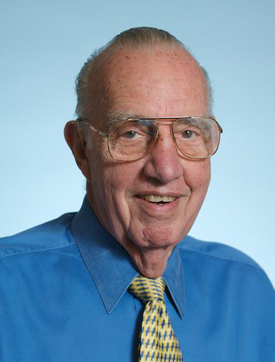 “Sven” served as UCLA’s vice chancellor for institutional relations from 1975 to 1991. His work laid the foundation for the establishment of International Studies and Overseas Programs (ISOP) in 1984, the immediate predecessor of today’s UCLA International Institute. His service to his alma mater did not, however, end with his retirement. Rather, he spent the next 26 years at the UCLA Anderson School of Management, where he helped lead the school’s Fully Employed MBA (FEMBA) Program. In 2004, his work with FEMBA’s Global Access Program resulted in his receipt of Finland’s Order of the White Rose. The prestigious award recognized Svenson’s work in assisting Finnish start-up companies expand into overseas markets, including that of the U.S. In a reflection of his deep and varied contributions to our university, current Chancellor Gene Block and former Chancellor Charles E. Young (1968–97) attended a special memorial in honor of Elwin Svenson at the UCLA Anderson School on Sunday, February 18, 2018. 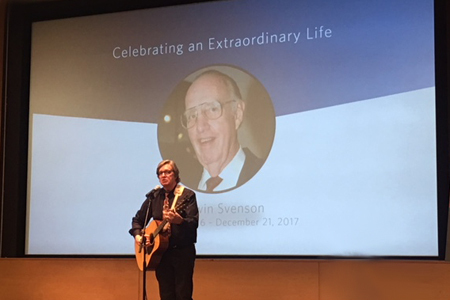 The memorial was organized by Robert Foster, director of Anderson’s Global Access Program, and gave colleagues and family members alike an opportunity to share sharing fond memories of the longtime international advocate. Among the speakers were Foster, Anderson School Dean Judy D. Olian and Charles E. Young, together with additional colleagues and family members. Young in particular noted that Sven had been not only a close colleague, but also a dear friend. Unattributed photos above courtesy of UCLA Newsroom. Access articles in memoriam of Elwin Svenson published by the UCLA International Institute and UCLA Newsroom. If you would like to make a gift to The Elwin ‘Sven’ Svenson Memorial Fund for International Studies and Engagement by mail, you may send a check made out to the UCLA Foundation with the name of the fund printed in the memo section. Checks can be mailed to: Aaron Cervantes, Office of Development, UCLA International Institute, 11248 Bunche Hall, Los Angeles, CA 90095-1487. If you would like to make a contribution on-line, please visit this link.